3 Garnets & 2 Sapphires: Star Wars, Buffy, and Other Pop Culture T-Shirts Designed by Independent Artists on Red Bubble! Star Wars, Buffy, and Other Pop Culture T-Shirts Designed by Independent Artists on Red Bubble! This post has been written in partnership with the Red Bubble Affiliate Program. 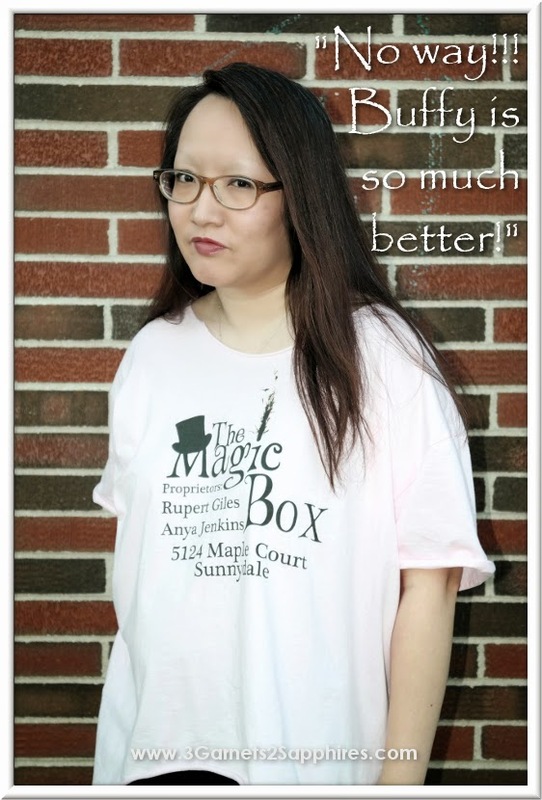 Thank you to Red Bubble for providing a gift code for us to shop for t-shirts designed by independent artists and for providing an additional gift code for our giveaway prize. All opinions expressed are my own. You know how the story goes . 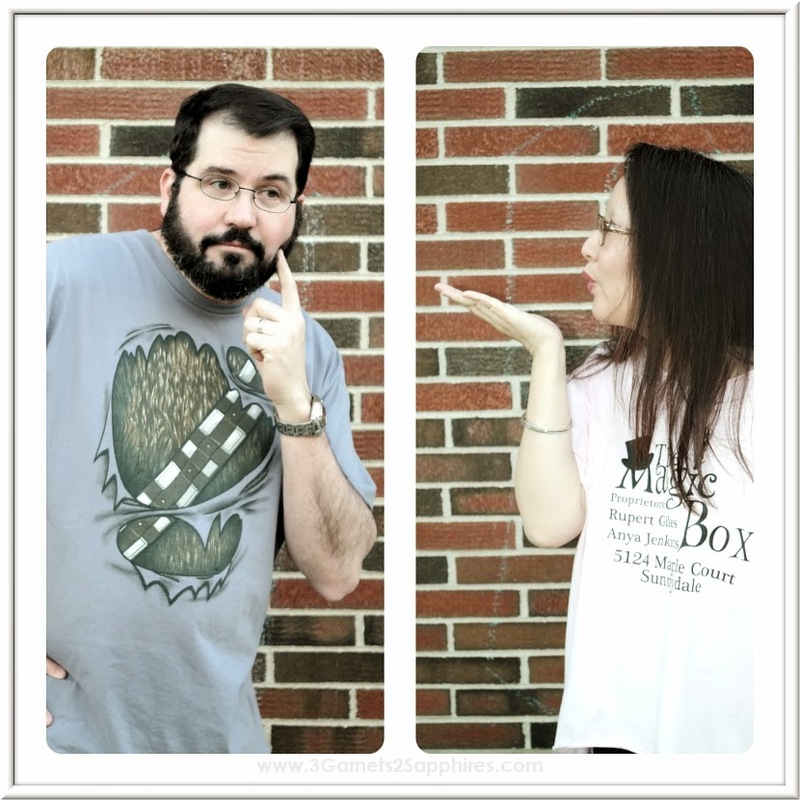 . . boy geek meets girl geek . . . they get married and start their own geeky family. It's the classic love story, right? Even though he was a Star Wars fan and she was a Buffy the Vampire Slayer fan, they were determined to make it work. She went to midnight showings of Star Wars Episode 1 through Episode 3 with him and he admitted that "Hush" was the best Buffy episode ever. Despite their differences, they were in love. I know you must have heard this saying a million times, but it is worth repeating: "True love means walking proudly down the street with a man dressed like a wookie." Do you and your significant other each have your own pop culture favorites? Have you learned to co-exist peacefully in spite of your differences? Well, my husband and I have! 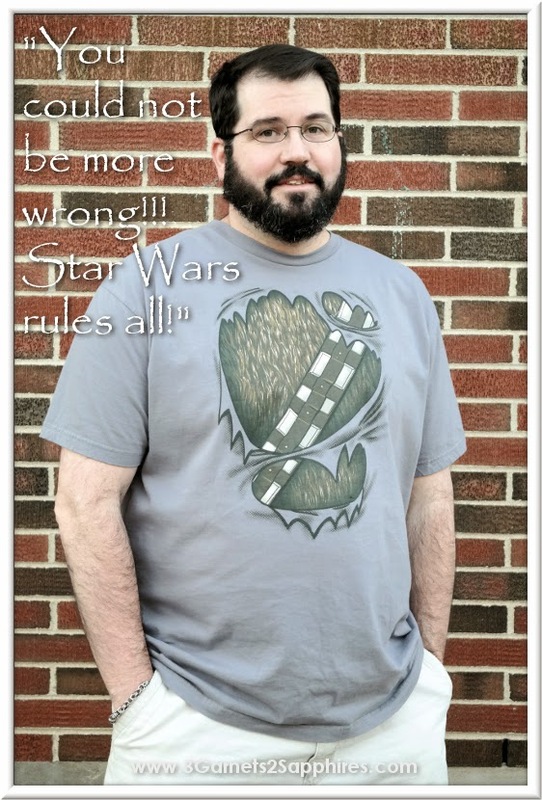 In fact, we actually helped each other pick out Star Wars and Buffy t-shirts from Red Bubble. Checkout my tutorial for making your own high-low hem t-shirt here. Red Bubble offers pop culture t-shirts, hoodies, tech cases, art prints, and more cool items printed with designs created by independent artists. These artists are so talented and full of so much creativity! 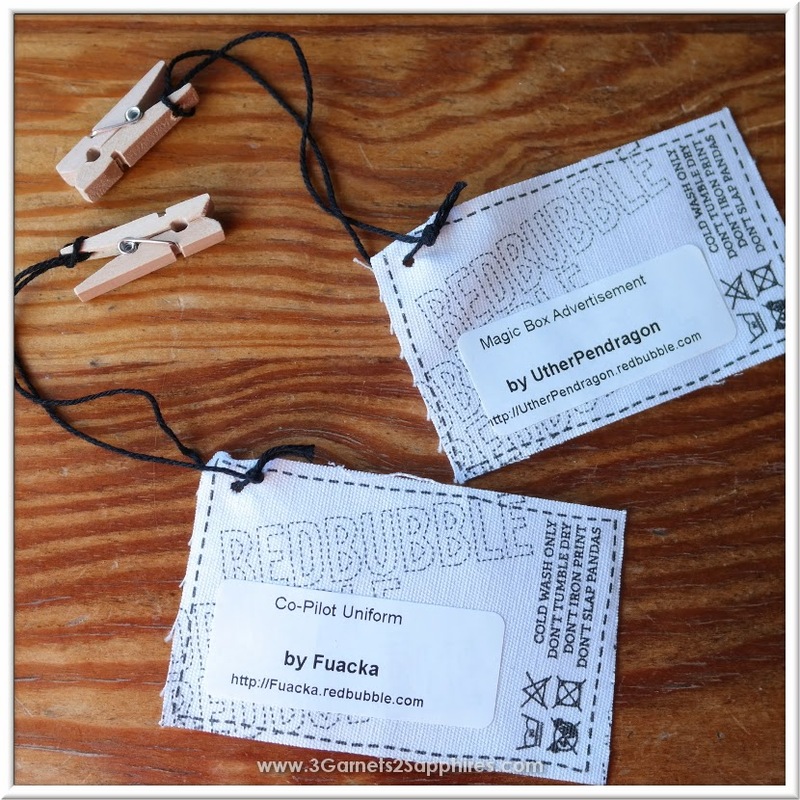 My husband's "Co-Pilot Uniform" Star Wars T-Shirt and my Buffy "Magic Box Advertisment" T-Shirt came with these tags clipped onto them that not only provide the care instructions, but also the name of the design and the link to these particular artists' designs. My husband and I were extremely pleased with both the artwork and the quality of the shirts. We will definitely be supporting these artists on Red Bubble again! To see all that Red Bubble has to offer, visit RedBubble.com. This giveaway ends on April 28th, 2014 and is open to U.S. entries only. You do not need to be a blogger to enter, but you must have a valid email address and be age 18 years or older. A random drawing will be held shortly after the contest closing. The winner will be announced here and will be contacted via email. If the winner does not respond within 48 hours, a new winner will be drawn.